Scott Metcalfe directs the vocal ensemble Blue Heron and has been guest director of the Green Mountain Project and TENET (New York), the Handel & Haydn Society (Boston), Emmanuel Music (Boston), the Tudor Choir and Seattle Baroque, Pacific Baroque Orchestra (Vancouver, BC), and Quire Cleveland. He plays violin as a member of Les Délices (dir. Debra Nagy) and elsewhere. 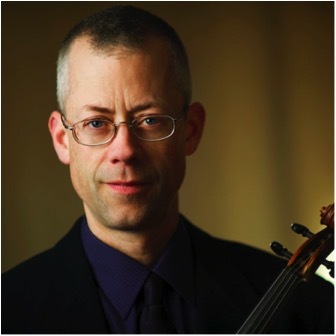 He has taught at Harvard University, Boston University, Boston Conservatory, and Oberlin Conservatory, is the author of essays on the performance of English sacred music in the 16th and 17th centuries, and is at work on a new edition of the songs of Gilles Binchois. Metcalfe holds degrees from Brown and Harvard. He grew up in Vermont and calls the Green Mountains home; he presently lives in Boston.